Local Government Chairmanship Candidate For Zangon Kataf Local Government. Mr John Hassan was born on the 13th of April, 1969 to the family of Mr and Mrs Hassan Garba at Katsit Gida of Afana District, Zangon Kataf local Government Area of Kaduna State. 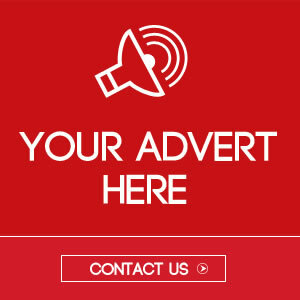 Mr John Hassan attended Government Secondary School, Kagoro for his secondary education and was later at the prestigious Ahmadu Bello University, Zaria and the University of Abuja where he obtained the qualifications of Diploma in Banking and Finance and a B.sc degree in Economics respectively. He worked at various times with the defunct Society Generale Bank (Nig) Limited and Kapital Care Trust and Securities Limited before setting up his private business. Again, God in his infinite mercies has offered him an opportunity to serve the people of Zangon Kataf local Government area as an interim Management Committee Chairman, which to the glory of God he served meritoriously without any blemish. 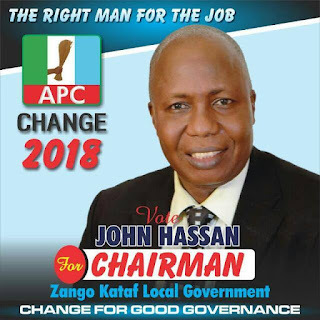 His zeal and commitment to continue to offer true and genuine services to humanity coupled with the various endorsements from within and without have further propelled him to seek to be elected as chairman Zangon Kataf Local Government Area. The true philanthropist that he is, Mr John Hassan has single-handedly initiated and completed various projects with significant impact to humanity.